Close up of dermal denticles or placoid scales on skin of shark. Keeled spines on scales reduce hydrodynamic drag . Spiny dogfish (Squalus acanthias, Squalidae). 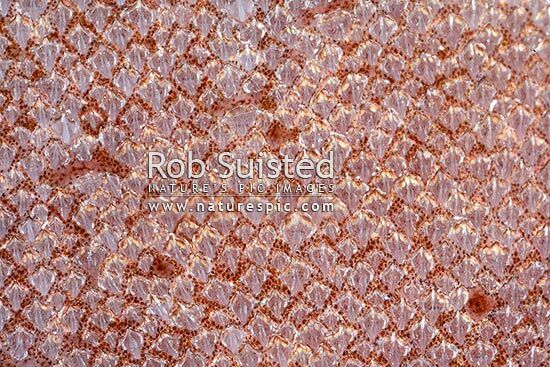 Natural pattern texture, New Zealand (NZ), stock photo.